Sep 14 (AZINS) Dozens of explosions, apparently triggered by a natural gas pipeline rupture, rocked three communities near Boston on Thursday, injuring at least six people and prompting the evacuation of hundreds, local officials said. The blasts left scores of homes and other buildings demolished or engulfed in flames as firefighters from some 50 departments scurried for hours from one blaze to another and utility crews rushed to shut off gas and electricity in the area to prevent further ignitions. 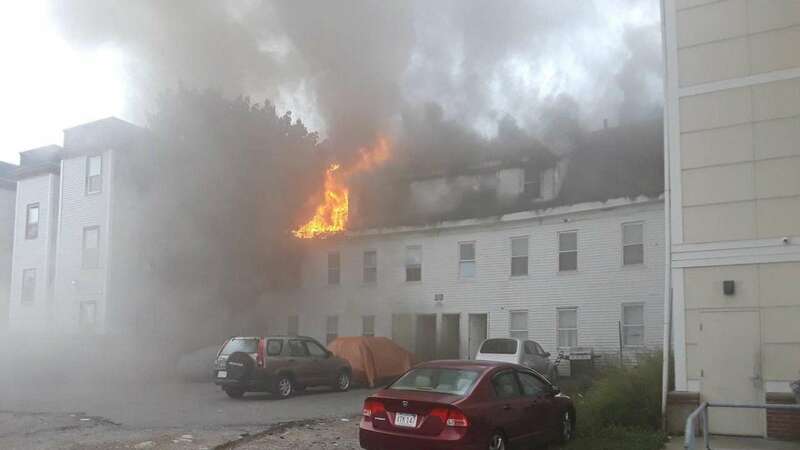 Fire investigators suspected "over-pressurization of a gas main" belonging to Columbia Gas of Massachusetts led to the series of explosions and fires, Andover Fire Chief Michael Mansfield said at a news conference. Columbia Gas, a unit of NiSource Inc, had announced earlier in the day that it would be upgrading gas lines in neighborhoods across the state, including the area where the explosions occurred. But it was not immediately known whether any work was being done in those communities at the time. The US Department of Transportation's Pipeline and Hazardous Materials Safety Administration (PHMSA) said it was dispatching a team to support the state's emergency response efforts. The former head of that agency, Brigham McCown, called the series of gas explosions "unprecedented, at least in recent memory." "I can't think of a series of natural gas-related incidents like this," McCown, who led PHMSA under then-President George W. Bush, told Reuters by telephone. "We have had similar issues on a much smaller scale." The streets were darkened after nightfall as power was cut off to the area as a precaution. State police urged residents served by Columbia Gas to evacuate their homes. Lawrence Mayor Dan Rivera said residents in the southern part of his city had been asked to leave their homes whether or not they were Columbia Gas customers, due to planned power cuts.